Currently, the proportion of French people’s daily journeys by bike has plateaued at just 3%, according to the report to be presented by Prime Minister Edouard Philippe; the minister for ecological transition, François de Rugy; and transport minister Elisabeth Borne. The report details plans to ring fence spending of €350 million on updating the cycling infrastructure in France, to ensure that cyclists have accessible lanes on major roads, and alternatives to motorways and other “interruptions” to bikes. The safety of cyclists will also be a priority. Cyclist-inclusive road markings and cyclist-friendly lights will become mandatory in all communes within 10 years, and all major roads with a speed limit of up to 50 kph will be required to offer a separate bike lane. The plan will also specify that all school children should be offered bike lessons at school. The aim is that all children should know how to ride a bike by the time they reach collège (6ème - middle school). The report also sets out how to deal with theft of bikes; a major problem in urban cycling. It is asking that train company SNCF build secure bike parking areas, and requests that communes consider doing the same - although they will not be mandatory everywhere. Bikes will be required to be marked with an immatriculation number on their frame, in a similar way to cars. New bikes will need to be marked first - and will be the responsibility of the initial retailer - with second-hand bikes next. This means that any bike that is stolen should be trackable according to a police database. 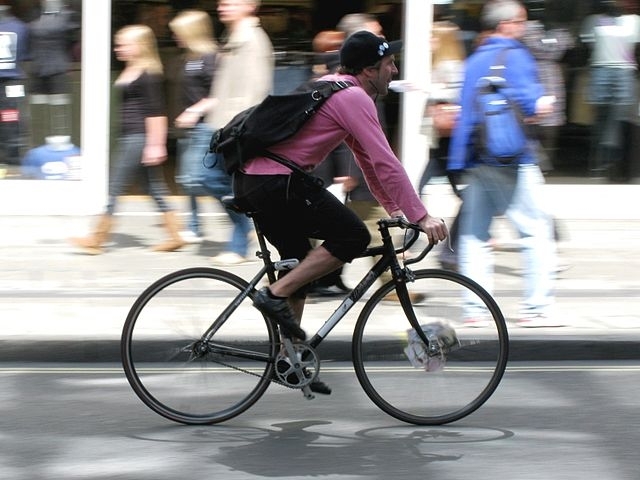 The government is also set to create a system of company allowances for the purchase and use of bikes by employees - in the same way as some companies offer a public transport allowance. This will replace the current bike allowance, which is calculated by kilometre, and will instead be a more overarching “sustainable mobility package (forfait mobilité durable)” with a value of up to €400 per year. When it comes to public service workers, they will also receive an allowance, of up to €200 per person.